Nursing Care Plans for Congestive Heart Failure (CHF). Heart failure (also called congestive heart failure or CHF). Most heart failure is the consequence of systolic dysfunction, the progressive deterioration of myocardial contractile function; this is most commonly due to ischemic heart disease or hypertension. Heart failure may be caused by valve failure (e.g., endocarditis) or can also occur in normal hearts suddenly burdened with an abnormal load (e.g. fluid or pressure overload). The heart is unable to pump blood at a rate that meets the requirements of the metabolizing tissues, or can only do so only with filling pressures that are higher than normal. Heart failure HF, often referred to as congestive heart failure (CHF), is the inability of the heart to pump sufficient blood to meet the needs of the tissues for oxygen and nutrients. 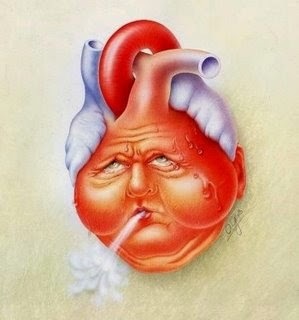 Heart failure is a clinical syndrome that results from the progressive process of remodeling, in which mechanical and biochemical forces alter the size, shape, and function of the ventricle’s ability to pump enough oxygenated blood to meet the metabolic demands of the body. Caused by disorders of heart muscle resulting in decreased contractile properties of the heart; CHD leading to MI; hypertension; valvular heart disease; congenital heart disease; cardiomyopathies; dysrhythmias. Pulmonary embolism; chronic lung disease. Increased body demands (fever, infection, pregnancy, arteriovenous fistula). Systolic function of the heart and resulting cardiac output is governed by four major determinants: the contractile state of the myocardium, the preload of the ventricle (the end-diastolic volume and the resultant fiber length of the ventricles prior to onset of the contraction), the afterload applied to the ventricles (the impedance to LV ejection), and the heart rate. Cardiac function may be inadequate as a result of alterations in any of these determinants. In most instances, the primary derangement is depression of myocardial contractility caused either by loss of functional muscle (due to myocardial infarction, etc) or by processes diffusely affecting the myocardium. However, the heart may fail as a pump because preload is excessively elevated, such as in valvular regurgitation, or when afterload is excessive, such as in aortic stenosis or in severe hypertension. Pump function may also be inadequate when the heart rate is too slow or too rapid. Whereas the normal heart can tolerate wide variations in preload, afterload, and heart rate, the diseased heart often has limited reserve for such alterations. Finally, cardiac pump function may be supranormal but nonetheless inadequate when metabolic demands or requirements for blood flow are excessive. Causes of high output include thyrotoxicosis, severe anemia, arteriovenous shunting (including dialysis fistulas), Paget disease of bone, and thiamine deficiency (beriberi). Cardiac compensatory mechanisms (increases in heart rate, vasoconstriction, heart enlargement) occur to assist the struggling heart. These mechanisms are able to compensate for the heart’s inability to pump effectively and maintain sufficient blood flow to organs and tissue at rest. Physiologic stressors that increase the workload of the heart (exercise, infection) may cause these mechanisms to fail and precipitate the clinical syndrome associated with a failing heart (elevated ventricular/atrial pressures, sodium and water retention, decreased CO, circulatory and pulmonary congestion). The compensatory mechanisms may hasten the onset of failure because they increase afterload and cardiac work. Systolic failure poor contractility of the myocardium resulting in decreased CO and a resulting increase in the systemic vascular resistance. The increased SVR causes an increase in the afterload (the force the left ventricle must overcome in order to eject the volume of blood). Diastolic failure stiff myocardium, which impairs the ability of the left ventricle to fill up with blood. This causes an increase in pressure in the left atrium and pulmonary vasculature causing the pulmonary signs of heart failure. Congestion occurs mainly in the lungs from blood backing up into pulmonary veins and capillaries. Fatigability from low CO, nocturia, insomnia, dyspnea, catabolic effect of chronic failure. In the management of patients with heart disease, it is important to quantify and monitor the severity of symptoms. A commonly used classification system is that of the New York Heart Association (NYHA), shown below. Class I: No limitation of physical activity. Ordinary physical activity does not cause undue fatigue, dyspnea, or anginal pain. Class II: Slight limitation of physical activity. Ordinary physical activity results in symptoms. Class III: Marked limitation of physical activity. Comfortable at rest, but less than ordinary activity causes symptoms. Class IV: Unable to engage in any physical activity without discomfort. Symptoms may be present even at rest. Stage A: Those at high risk for congestive heart failure (CHF) but no structural heart disease (ie, hypertension, coronary artery disease [CAD]) and no symptoms. Patients at high risk for developing heart failure because of the presence of conditions that are strongly associated with the development of heart failure. Such patients have no identified structural or functional abnormalities of the pericardium, myocardium, or cardiac valves and have never shown symptoms or signs of heart failure. Stage B: Those with structural heart disease associated with CHF and no symptoms. Patients who have developed structural heart disease that is strongly associated with the development of heart failure but who have never shown symptoms or signs of heart failure. Stage C: Those with structural heart disease who have current or prior symptoms. Patients who have current or prior symptoms of heart failure associated with underlying structural heart disease. Stage D: Those with refractory CHF requiring some device or special intervention. Patients with advanced structural heart disease and marked symptoms of heart failure at rest despite maximal medical therapy and who require specialized interventions. Stage A focuses on eliminating risk factors by initiating therapeutic lifestyle changes and controlling chronic diseases, such as hypertension and diabetes. Beta-adrenergic blockers, ACE inhibitors, and diuretics are useful in treating this stage. Stage B treatment similar to Stage A, with emphasis on use of ACE Inhibitors and beta adrenergic blockers. Stage C same as A and B, but with closer surveillance and follow up. Digoxin is typically added to the treatment plan in this stage. Drug classes to be avoided due to worsening of heart failure symptoms include antiarrhythmic agents, calcium channel blockers, NSAIDs. Stage D may need mechanical circulatory support, continuous inotropic therapy, cardiac transplantation, or palliative care. Treatment aimed at decreasing excess body fluid. May not tolerate other classes of drugs used in previous stages. Positive inotropic agents increase the heart’s ability to pump more effectively by improving the contractile force of the muscle. Vasodilator therapy decreases the workload of the heart by dilating peripheral vessels. Angiotensin-converting enzyme (ACE) inhibitors inhibit the adverse effects of angiotensin II (potent vasoconstriction/sodium retention). Aldosterone antagonists decrease sodium retention, sympathetic nervous system activation and cardiac remodeling. Human B-type natriuretic peptide (Nesiritide) used in patients with decompensated heart failure. Beta-adrenergic blockers decrease myocardial workload and protect against fatal dysrhythmias by blocking norepi-nephrine effects of the sympathetic nervous system. Angiotensin II-receptor blockers (ARBs) similar to ACE inhibitors. Used in patients who cannot tolerate ACE inhibitors due to cough or angioedema. Intractable or refractory heart failure becomes progressively refractory to therapy (does not yield to treatment). Myocardial failure and cardiac arrest. Digoxin toxicity from decreased renal function and potassium depletion. Pulmonary infarction, pneumonia, and emboli. Nursing Care Plans for Congestive Heart Failure (CHF). Nursing Assessment Nursing Care Plans for Congestive Heart Failure (CHF). Patients Health History Obtain history of symptoms, limits of activity, response to rest, and history of response to drug therapy. The nurse explores sleep disturbances, particularly sleep suddenly interrupted by shortness of breath. The nurse also asks about the number of pillows needed for sleep (an indication of orthopnea), activities of daily living, and the activities that cause shortness of breath. The nurse helps patients to identify things that they have lost because of the diagnosis, their emotional response to that loss, and successful coping skills that they have used previously. Family and significant others are often included in these discussions. Physical Examination Nursing Care Plans for Congestive Heart Failure (CHF). Assess peripheral arterial pulses; note quality, character; assess heart rhythm and rate and BP; assess edema. Inspect and palpate precordium for lateral displacement of PMI. Obtain hemodynamic measurements as indicated and note change from baseline. Assess weight and ask about baseline weight. Note results of serum electrolyte levels and other laboratory tests. Identify sleep patterns and sleep aids commonly used by patient. Nursing Diagnosis Nursing Care Plans for Congestive Heart Failure (CHF). Nursing Interventions and Evaluation Nursing Care Plans for Congestive Heart Failure (CHF). · Place patient at physical and emotional rest to reduce work of heart. Provide rest in semi-recumbent position or in armchair in air-conditioned environment reduces work of heart, increases heart reserve, reduces BP, decreases work of respiratory muscles and oxygen utilization, improves efficiency of heart contraction; recumbency promotes diuresis by improving renal perfusion. Provide bedside commode to reduce work of getting to bathroom and for defecation. Provide for psychological rest emotional stress produces vasoconstriction, elevates arterial pressure, and speeds the heart. Evaluate frequently for progression of left-sided heart failure. Take frequent BP readings. Auscultate heart sounds frequently and monitor cardiac rhythm. Observe for signs and symptoms of reduced peripheral tissue perfusion: cool temperature of skin, facial pallor, poor capillary refill of nail beds. Monitor clinical response of patient with respect to relief of symptoms (lessening dyspnea and orthopnea, decrease in crackles, relief of peripheral edema). Raise head of bed 8 to 10 inches (20 to 30 cm) reduces venous return to heart and lungs; alleviates pulmonary congestion. Support lower arms with pillows to eliminate pull of their weight on shoulder muscles. Sit orthopneic patient on side of bed with feet supported by a chair, head and arms resting on an over-the-bed table, and lumbosacral area supported with pillows. Auscultate lung fields at least every 4 hours for crackles and wheezes in dependent lung fields (fluid accumulates in areas affected by gravity). Observe for increased rate of respirations (could be indicative of falling arterial pH). Observe for Cheyne-Stokes respirations (may occur in elderly patients because of a decrease in cerebral perfusion stimulating a neurogenic response). Position the patient every 2 hours (or encourage the patient to change position frequently) to help prevent atelectasis and pneumonia. Encourage deep-breathing exercises every 1 to 2 hours to avoid atelectasis. Offer small, frequent feedings to avoid excessive gastric filling and abdominal distention with subsequent elevation of diaphragm that causes decrease in lung capacity. Administer prescribed diuretic as ordered. Give diuretic early in the morning nighttime diuresis disturbs sleep. Keep input and output record patient may lose large volume of fluid after a single dose of diuretic. Weigh patient daily to determine if edema is being controlled: weight loss should not exceed 1 to 2 lb (0.5 to 1 kg)/day. Assess for signs of hypovolemia caused by diuretic therapy thirst, decreased urine output, orthostatic hypotension, weak, thready pulse, increased serum osmolality, and increased urine specific gravity. Be alert for signs of hypokalemia, which may cause weakening of cardiac contractions and may precipitate digoxin toxicity in the form of dysrhythmias, anorexia, nausea, vomiting, abdominal distention, paralytic ileus, paresthesias, muscle weakness and cramps, confusion. Give potassium supplements as prescribed. Be aware of disorders that may be worsened by diuretic therapy including hyperuricemia, gout, volume depletion, hyponatremia, magnesium depletion, hyperglycemia, and diabetes mellitus. Also, note that some patients allergic to sulfa drugs may also be allergic to thiazide diuretics. Watch for signs of bladder distention in elderly male patients with prostatic hyperplasia. Administer I.V. fluids carefully through an intermittent access device to prevent fluid overload. Monitor for pitting edema of lower extremities and sacral area. Use convoluted foam mattress and sheepskin to prevent pressure ulcers (poor blood flow and edema increase susceptibility). Observe for the complications of bed rest pressure ulcers (especially in edematous patients), phlebothrombosis, pulmonary embolism. Be alert to complaints of right upper quadrant abdominal pain, poor appetite, nausea, and abdominal distention (may indicate hepatic and visceral engorgement). Monitor patient's diet. Diet may be limited in sodium to prevent, control, or eliminate edema; may also be limited in calories. Caution patients to avoid added salt in food and foods with high sodium content. Increase patient's activities gradually. Alter or modify patient's activities to keep within the limits of his cardiac reserve. Assist patient with self-care activities early in the day (fatigue sets in as day progresses). Be alert to complaints of chest pain or skeletal pain during or after activities. Observe the pulse, symptoms, and behavioral response to increased activity. Monitor patient's heart rate during self-care activities. Allow heart rate to decrease to preactivity level before initiating a new activity. Relieve nighttime anxiety and provide for rest and sleep patients with heart failure have a tendency to be restless at night because of cerebral hypoxia with superimposed nitrogen retention. Give appropriate sedation to relieve insomnia and restlessness.